VIENNA — The suspected gunman behind the mass shootings at mosques in New Zealand donated to a far-right Austrian group, the country's Chancellor Sebastian Kurz said on Wednesday. Martin Sellner, head of the Identitarian Movement, received 1,500 euros ($1,690) in early 2018 from a donor with the same name as the man charged with murder following the Christchurch attack, said Hansjoerg Bacher, spokesman for prosecutors in the city of Graz. "We can now confirm that there was financial support and so a link between the New Zealand attacker and the Identitarian Movement in Austria," Kurz said. 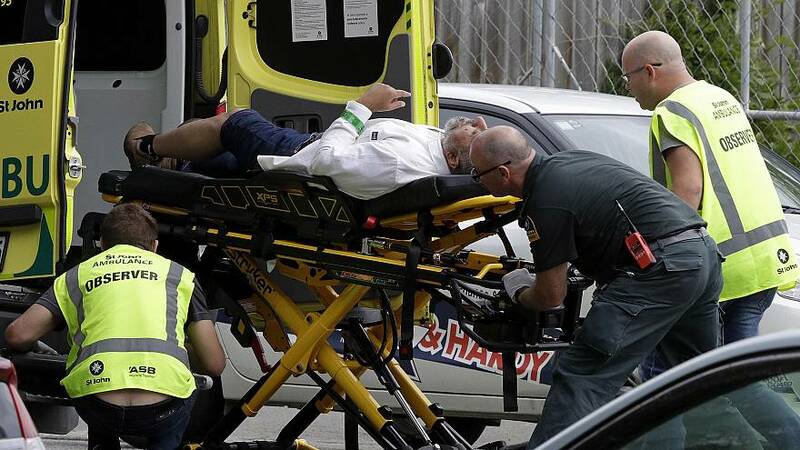 Brenton Harrison Tarrant, a 28-year-old Australian national, was charged with murder for the shooting deaths of 50 people during Friday prayers. Tarrant has been described by officials as a "right-wing extremist terrorist" and appeared to post a lengthy manifesto before the attack detailing his white-supremacist worldview. The Identitarian Movement is self-described as wanting to preserve Europe's identity. It's leader Sellner published a video on YouTube in which he said he received a donation from the man and that police had raided his house over the possible links to the Christchurch attacker. In it, he said: "I'm not a member of a terrorist organization. I have nothing to do with this man, other than that I passively received a donation from him." "Our position on this is very clear, no kind of extremism whatsoever — whether it's radical Islamists or right-wing extremist fanatics — has any place in our society," Kurz said. Austrian Vice-Chancellor Heinz-Christian Strache, of the far-right Freedom Party said it had nothing to do with the Identitarian Movement. Austria is not the only country investigating ties to the suspected shooter. Bulgarian Prosecutor General Sotir Tsatsarov confirmed officials were looking into Tarrant's multiple visits to the country, as well as other Balkan nations including Serbia, Romania and Hungary.